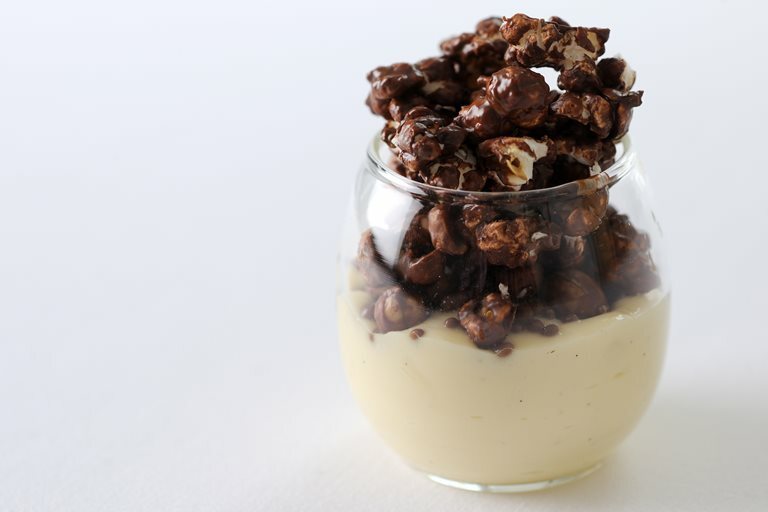 Coconut custard and chocolate peanut popcorn combine in this sweet treat from Paul Ainsworth. The popping candy used in the chocolate coating for the popcorn adds a bit of a thrill to this fun dessert. This playful popcorn recipe was part of an array of fairground treats created by Paul on BBC's Great British Menu.